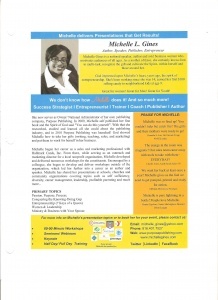 Michelle Gines, is “Conquering the Knowing-Doing Gap”. 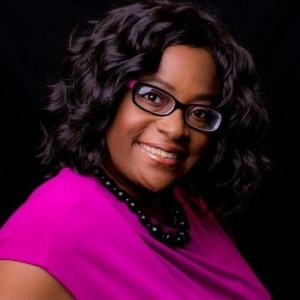 She moderated a panel at last summer’s Leadership Summit in Kansas City. 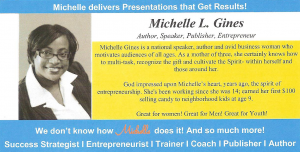 She owns Purpose Publishing (purposepublishing.com) and has provided training and workshops for several years in the Kansas City area.